Great service. Handled my car at the appointed time and completed all required service promptly with full explanation of what was needed before work began. This is my third time to the service department. My car was taken immediately and finished at the promised time. Not only is Nicole very professional, knowledgeable and pleasant, she has superb customer service skills. The sales team, finance team and management team were all very professional! They far exceeded our expectations and took time to ensure we were pleased with the experience and satisfied with the car we purchased! Nicole is beyond accommodating! I always make my appointments with her due to her excellent customer service each time I visit the Stuart location on Federal Highway. When searching for a reliable service center, consider INFINITI Stuart. Our technicians have been handling these vehicles for years and know them well. We also have a parts store that has quality products for your SUV, crossover, coupe or sedan. Not only those from Stuart, but also from surrounding areas bring their vehicle to us. If you are short on time and are unable to visit us, you can schedule a servicing appointment or order parts online. 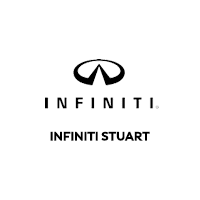 We look forward to assisting you at our Stuart INFINITI dealership. Confused about whether to buy or lease an INFINITI vehicle? Get in touch with our staff and they will work out the best plan for you. They will provide all the details so that you can make an informed decision. Just fill in your information in the Payment Calculator and our staff will take care of the rest. Get pre-qualified for financing by filling in the Finance Pre-Qualification Form or call us to learn more about this process and start it before you visit the showroom. In case you are planning to visit us to get further details, check our hours and directions page to get the exact location.